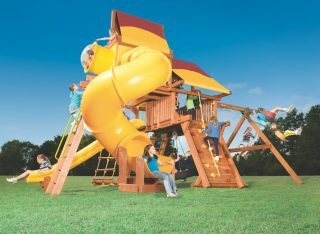 LARGE LUMBER – Outback 7′ playset includes a 25 sq. 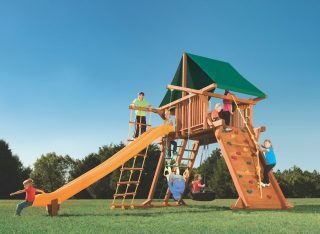 ft. fort, wood roof, three-chain tire swing, dual ladder, rock wall, rope rung ladder, 14′ Super slide, single accessory arm, four-position swing beam, and accessories. We do offer professional installation on the Outback 7′ (OB.7A). Please call us for more information. 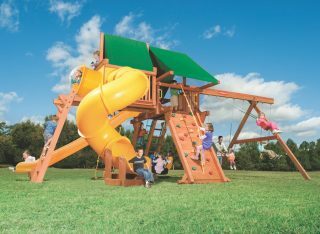 The Woodplay Playsets Outback (OB.7A) includes EITHER a Limited Lifetime (Redwood, lumber only), 15-Year (lumber only), and a 5-Year warranty. 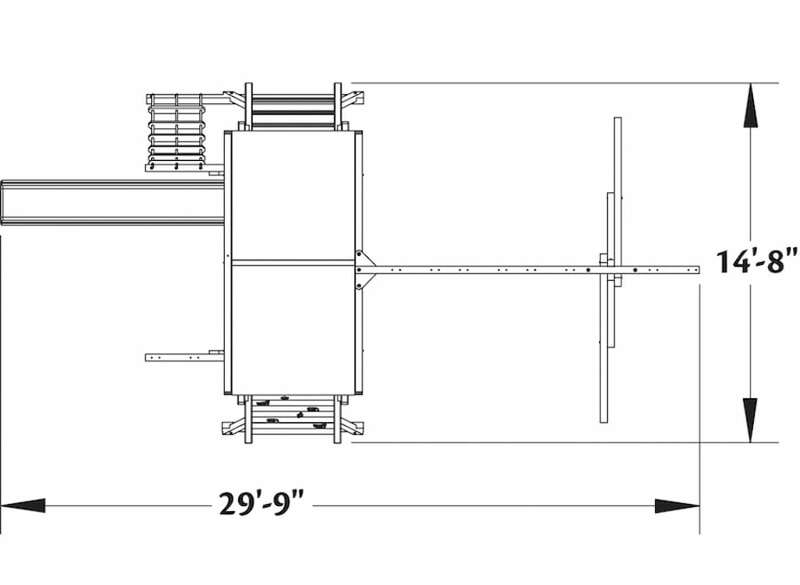 Subject to proper installation and normal residential use, Woodplay warrants, subject to the limitations stated below, to the original retail purchaser all chain, seats, swing hangers, hardware, metal braces, ropes and accessories to be free from defects in material and workmanship for a period of five years from date of purchase. 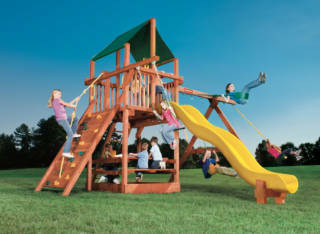 Cracks in non-functional plastic components are not considered defects in materials and workmanship if they do not affect the functionality of the playset. Merchandise covered under this limited five-year warranty will, at our option, be repaired or replaced, excluding any freight or labor fees.